Hizb ut-Tahrir, an outlawed group that calls for the reinstatement of the caliphate that was abolished in Turkey, was recently given a huge boost when the Constitutional Court under the tight leash of Islamist President Recep Tayyip Erdoğan ruled that Hizb ut-Tahrir members had been wrongly prosecuted. As a result, this radical Islamist outfit that is openly against secular democratic governance in Turkey and has proven to be a serious threat to public security, was added to the growing list of Islamist groups that are protected by Erdoğan in exchange for their support and service as proxies for his ruling Justice and Development Party (AKP) government, which is also rooted in political Islam. The Constitutional Court simply disregarded a cache of weapons found in a Hizb ut-Tahrir safe house and deviated from precedents that were followed by various criminal courts and consistently upheld in the appeals process by higher courts over the years in Turkey. This is not surprising considering how Erdoğan has allowed the group to organize high-profile events in Turkey including an international caliphate conference in the heart of the Turkish capital of Ankara where senior members of the group from various countries gathered to showcase their fight against established governments in the West and East alike. Local authorities were opposed to this convention, but Erdoğan overruled them. 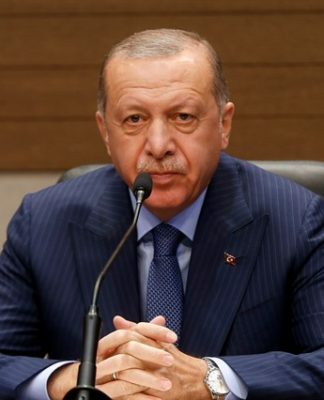 As he has enlisted other radical groups including al-Qaeda and its offshoots as allies, Erdoğan is now tapping on the network that is in fact nothing but a conveyer belt for militant recruitment for more radical and violent groups in Turkey and abroad. The group claims to be non-violent, yet its caliphate ideology has given rise to a platform where other fanatical groups flourish. Hizb ut-Tahrir has been active in Turkey since the late 1960s, and members of the group have been prosecuted from time to time as successive Turkish governments implemented a series of public security measures including the use of the criminal justice system to prevent the fanatical group from mushrooming into a national security threat. The outlawed group was designated as a terrorist group with the decision of the Supreme Court of Appeals’ 9th Chamber on Sept. 26, 2004 under Article 314 of the counterterrorism law which deals with armed terrorist groups. The appeals court also upheld another court judgment on Nov. 29, 2007 that reaffirmed existing precedent on Hizb ut-Tahrir. The Hizb ut-Tahrir global enterprise designated Turkey as one of its provinces in 1997 and organized a secret structure that ranges from neighborhood organizations at the grassroots level to a senior leadership that is governed by a provincial authority. The group operates within a hierarchy and holds regular meetings and reports their activities to the leadership committee. It receives foreign funding as well. It has a Turkish propaganda magazine called Köklü Degisim and has published a series of books to disseminate the caliphate idea. In Ankara, the group protested the crackdown on its affiliates in Uzbekistan in 2005 and called for the establishment of the caliphate. This resulted in another trial and conviction of its members by the Ankara 11th High Criminal Court on March 2, 2006. The conviction was upheld on appeal on Nov. 19, 2007. The group’s official spokesperson, Yılmaz Çelik (born in 1969, resident of Ankara, aka Mehmet) and several other members were formally indicted on Feb. 3, 2008 on charges of belonging to an armed group and disseminating propaganda on behalf of a banned terrorist group. 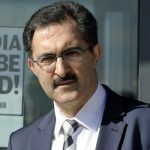 The Ankara 11th High Criminal Court convicted Çelik on April 7, 2011 and sentenced him to six years, three months in prison. On appeal, the Supreme Court of Appeals upheld the conviction on the charge of membership in an armed terrorist group but vacated the conviction on propaganda charges on June 27, 2014. Two months later, he filed a complaint with the Constitutional Court claiming that his fundamental rights had been violated. Çelik faced another indictment on July 13, 2009 for establishing and administering a terrorist group. He was named as the Hizb ut-Tahrir Turkey representative who is bent on destroying the secular democratic order and replacing it with the caliphate through coercion, violence and other means. 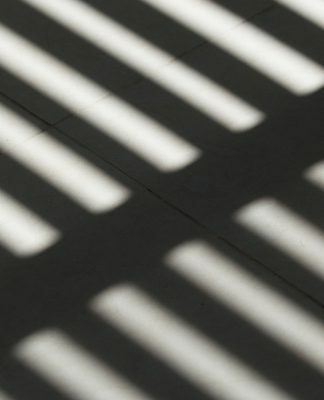 At the end of the trial, the Ankara 11th High Criminal Court ruled for the conviction of the defendant and sentenced him to prison on Dec. 13, 2011. The decision was upheld on appeal in June 2014. In June 2011 prosecutors ordered police to again launch an operation against Hizb ut-Tahrir cells in five cities, detaining 17 people, including Serdar Yılmaz, the senior Tahrir member responsible for Turkey operations. Turkish investigators discovered that the group was regularly funded by Imameddin A.A. Barakat, a Jordanian citizen of Palestinian origin who resides in Israel. 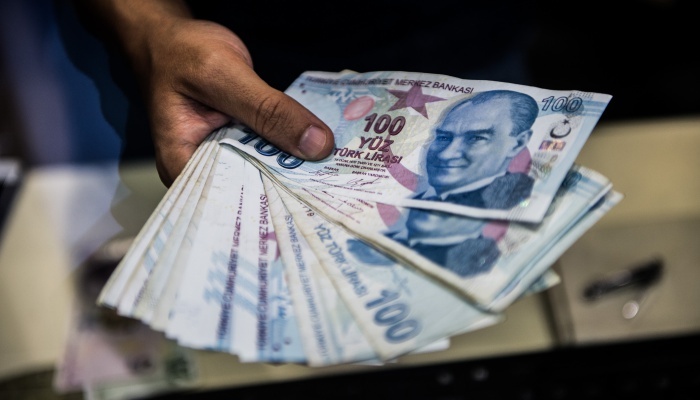 The bookkeeping records of Hizb ut-Tahrir members that were seized during the operation revealed that a businessman acting as a courier named Mazin Harbawi entered Turkey with bags of money every two months and gave the money to V. A., the member in charge of Hizb ut-Tahrir’s İstanbul operations. Investigators believe Harbawi smuggled in about $40,000 during each visit. A report issued by the Security General Directorate on Feb. 24, 2017 reveals how Hizb ut-Tahrir operates as a secret leadership committee that is composed of three to 10 people and reports to a presidential council. The group has not been involved in any violent incident since it faced a crackdown in 1967, but a police operation that was conducted against Hizb ut-Tahrir cells in 2009 found one long-barreled gun, two handguns, five rifles and six blank-firing pistols. Police said the group was planning to stage a large attack in İstanbul on the anniversary of the abolishment of the caliphate. The Ottoman Caliphate was abolished by Atatürk on March 3, 1924, following the founding of the secular state. The investigators’ assessment at the time was that the group would resort to violence to promote its views when it finds fertile ground to do so. The last time the Supreme Court of Appeals ruled to continue designating Hizb ut-Tahrir as a terrorist group was on Oct. 4, 2017 when it upheld its earlier judgments. Despite of a series of similar rulings spanning decades, the Constitutional Court ruled on July 19, 2018 that Hizb ut-Tahrir cannot be considered a terrorist organization. The court went beyond its mandate and examined the case on substance and completely reversed the judgments of the Supreme Court of Appeals as if it were a criminal appeals court. Although Çelik, the convicted felon, acknowledged that he was a member of Hizb ut-Tahrir and did not deny that the organization aims to establish a caliphate, the Constitutional Court completely disregarded the serious allegations. It downplayed the cache of arms found on the premises of Hizb ut-Tahrir. 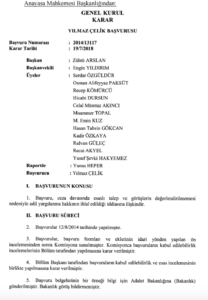 Eleven members of the court including the president, Zühtü Arslan, an Erdoğan ally, decided that the rights of Hizb ut-Tahrir members had been violated and ordered that the lower courts vacate earlier convictions against Tahrir members and retry them. Only three members opposed the ruling. It is worth remembering that Hizb ut-Tahrir, which used to operate secretly and away from the public spotlight, changed that in 2004 with Çelik taking over the leadership role in Turkey. It started publishing a magazine and organizing conferences and events under various names. 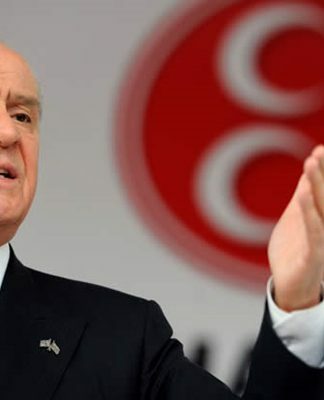 The reorganization of the group under the new strategy took place a year after Erdoğan came to power. 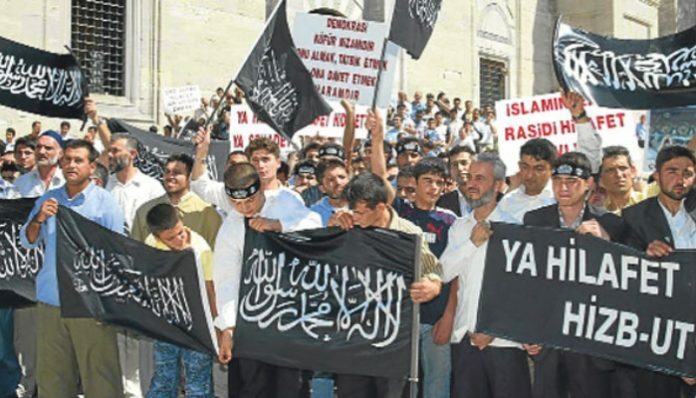 The group was so emboldened that it even held two major protests in Istanbul and Ankara in September 2005 calling for a sharia regime and the establishment of a caliphate. The group tried to provoke Muslims into confrontation with the police at Friday prayer time. A core group of some 150 Hizb ut-Tahrir members gathered in front of Istanbul’s Fatih Mosque and chanted slogans like “Either we restore the caliphate, or we martyr ourselves.” The unlawful gathering prompted a nationwide crackdown, with 47 people formally arrested. Çelik was convicted and sentenced to two years, nine months for his role in the provocative event. Wiretap records from 2008 showed that Hizb ut-Tahrir members were talking among themselves about jihad and making a trip to Palestine to join the jihadist cause. The probe also uncovered how some members of Hizb ut-Tahrir had links to a neo-nationalist group in the Turkish military and intelligence agency. Both were aiming to sow chaos in Turkey in order to promote their parochial interests. Despite overwhelming evidence against Hizb ut-Tahrir, Erdoğan continued to provide protection for this organization and rushed to save them when they were caught by the criminal justice system. The Constitutional Court’s decision is the latest example of how Erdoğan shelters this group from legal troubles. In fact, the court clearly exceeded its mandate and intervened in the jurisdiction of the Supreme Court of Appeals, which is the sole authority in the Turkish judicial system for the designation of terrorist groups after being tried in lower criminal courts. The Constitutional Court ruling was not a judicial decision in the true sense of the word but rather an expression of political will imposed on members of the Constitutional Court by the Erdoğan government, which provided safe haven for members of Hizb ut-Tahrir. Incidentally, most police investigators, judges and prosecutors who were involved in investigating and trying members of Hizb ut-Tahrir were either dismissed from their jobs by the Erdoğan government or arrested and jailed in the last two years. It was a message to members of the judiciary and law enforcement not to touch Hizb ut-Tahrir or other radical misfits. Almost one-third of all members of the judiciary have been purged by the government since 2016 and over 2,000 judges and prosecutors including those who investigated radical religious terrorist groups have been imprisoned on fabricated charges in today’s Turkey. Welcome to the new Turkey under Erdoğan, who aids and abets all sorts of radical groups to promote his own caliphate vision in Turkey and beyond.